When most people hear the term “boot camp”, they think of an arduous exercise programme designed to build muscles and discipline. But for 31 teams of startup entrepreneurs in Bangladesh, boot camp means an intensive training programme that will build their professional prowess and help them take their businesses up a notch. The three-day boot camp that began in Dhaka on 12 November covers topics ranging from the anatomy of a winning pitch, valuation and market sizing to product development, financial modelling and visual storytelling. The boot camp, along with a parallel workshop for women entrepreneurs in Bangladesh, is connected to Seedstars World, a global initiative that focuses on technological capacity and gender inequality in entrepreneurship. Seedstars supports seed-stage tech startups in 55 countries around the world. Seedstars aims to increase the number of entrepreneurs and sustainable businesses in Bangladesh, and to close the funding gap that is a major barrier in the startup lifecycle, particularly for female founders. At the end of the training programme, a panel of judges from Dhaka’s tech sector – as well as Seedstars and ITC – selected the top 12 teams to participate in the Seedstars Dhaka pitch competition event. The winner of that event – Madviser, which has created an app to compare cell phone offers by analyzing usage patterns based on the phone’s data – will represent Bangladesh at the Seedstars Global Summit next March, where the potential rewards are huge. HandyMama and Track My Vehicle were selected as the runners up, while Shopfront Social won the Award for Women Entrepreneurs, which was jointly set up by the BASIS Women’s Forum and ITC’s Netherlands Trust Fund III (NTF III) Bangladesh. 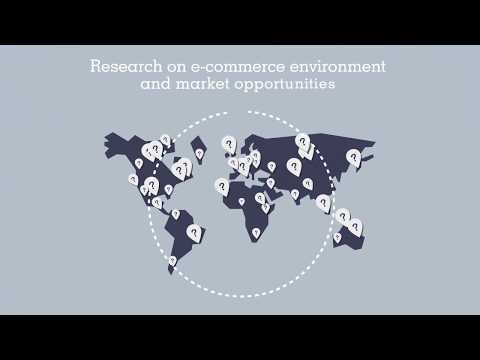 Shopfront is an e-commerce solution for SMEs particularly adapted to the context of developing countries. Madviser, together with finalists from 54 other countries, will travel to Switzerland in late February for another three-day boot camp that will involve training and mentoring sessions by international investors, advisers from leading accelerators, business strategy consultants and top CEOs, says Alisée de Tonnac, the chief executive of Seedstars World. The final ceremony takes place in Lausanne, Switzerland on 3 March, when the global winner will be named and receive up to US$ 500,000 in equity investment from Seedstars Company Builder to take part in the event. Seedstars Dhaka was made possible by a ‘truly cross-sector collaborative effort’, Mok said. Seedstars World has partnered with local startup organizations Better Stories Ltd. and Entrepreneur Lab, and is supported by ITC’s NTF III Bangladesh project. NTF III is implemented by the ITC in partnership with BASIS and the Dhaka Chamber of Commerce and Industry, and funded by the government of the Netherlands. BD Ventures, Fenox Ventures and the Swiss Embassy also provided on-the-ground support and additional prizes for the top women and social impact startups at Seedstars Dhaka. The boot camp was held at the office of NewsCred, which last year raised US$ 25 million in venture capital and is ‘a huge success story’, Szulenyiova said.